A co-worker has been literally salivating (his desk is a wet mess) over the idea of buying a new Glock 43. Although he was gravitating toward the .380 ACP Glock 42, the later introduction of a similar frame size chambered in 9mm made up his mind for him. Detectives at our agency are issued the .40 cal. Glock 27. My buddy likes the idea of the Glock-format pistol in a smaller package for off-duty carry. Good so far. He excitedly texted me one weekend that he had put a hundred bullets through a G43 at another department’s range and he was “totally sold” on the gun. The dude is fixated. 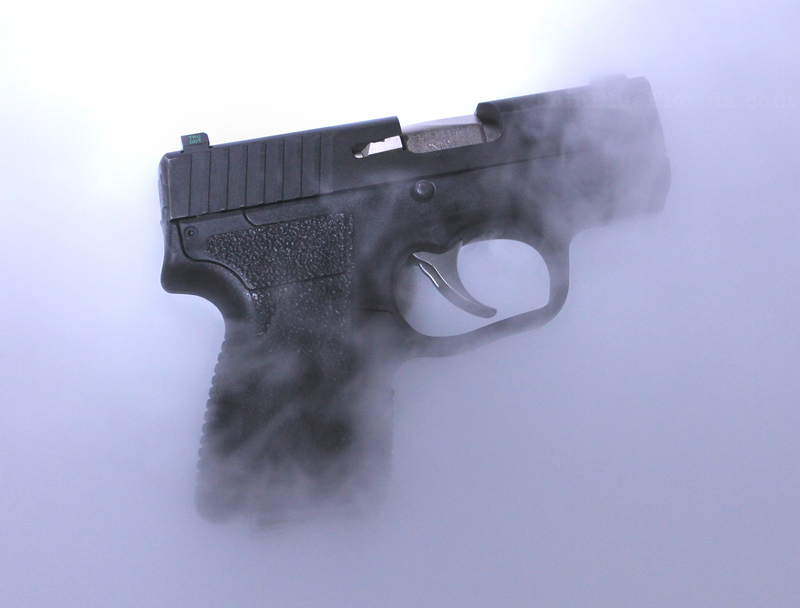 When I considered the prospect of buying a Glock 43 for myself, I came to the frank realization that I already own a gun that mirrors the new Glock’s concealability, caliber, and capacity: my Kahr PM9. The Glock 43’s dimensions make it slightly longer, taller, and more weighty than the Kahr PM9. Both guns carry 6+1 rounds of 9mm, with the option to add one more in either’s magazine. Justin Moon, Kahr’s founder and lead designer, gave his pistols a revolver-like DAO trigger pull that is longer and heavier than the thrifty 5.5 pound “Safe Action” snap that sets off any Glock. I am an old wheelgun guy, so I do not have a quarrel with the Kahr’s smooth rolling trigger mechanism. It works just fine for me. Were it not for my existing PM9, I would pit Kahr’s less expensive, but high quality CM9 against the Glock 43 in this class of handgun. Each gun has its strengths. I have nothing against Glock. I own two. But I don’t need a Glock 43. My consideration of one did have an effect on my behavior, however. In examining the pros of a sub-compact 9×19 Luger carry gun, they made me take a hard look at what I currently EDC. My standard operating procedure had me carrying my Smith & Wesson Bodyguard 380 most of the time, with bigger artillery brought along in sketchier environments. Should I up the caliber for all situations? One answer is that my Kahr PM9 is in an Uncle Mike’s size three holster in my right front pocket as I am writing this in a doctor’s office waiting room. The PM9 has been with me for additional outings in the last few weeks. 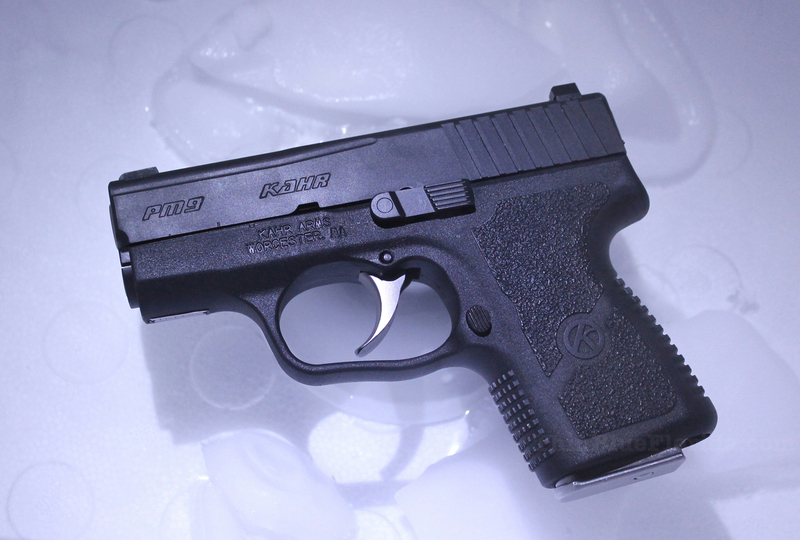 While I know my Bodyguard 380 and its Kel-Tec P3AT sibling will still sneak out with me for some appropriate activities, the Kahr will assume primary responsibilities. My friend was pestering me about buying a polymer pistol he thought was perfection. Turns out I already had one in my safe. I’ll have to buy him lunch. This entry was posted in Concealed Carry, Firearms, Off Duty, Street and tagged Glock, Kahr Arms. Bookmark the permalink. Have you noticed how people like to discuss things they like, it is called ; pursuing your hobby. I myself I am a paramedic/RN so my love affair with hobby guns ended some 15 years ago when the Australian government made guns illegal. Anyways to guns, people love to discover new information about their hobby’s; as I do. But in the new millennium I think a lot of “outdated” ‘issues’ need to be reevaluated. In this new ago of mass production and law suits i think many modern guns are exact replicas of similar firearms from another manufacturer. Sure ‘controls’ might be in different locations but the mechanisms are identical for any average user. As I said i am a rank untrained amateur. Personally being an “armchair expert” i think LEO’s like Glocks due to their high bore lines and lighter weight. Remember LEO’s CARRY firearms but actually use them less than 1% of the time, thus i think officers like anything that helps them do their job better and easier. I myself when i do get around to getting a pistol it will be a Sig Sauer P239, I will not have the ability to live and use the gun 24/7 like most serving officers. But i want one gun that is all i will ever have in a pistol. I want one gun that can never not do anything i ever ask of it. The caliber is 9 mm since there is no other caliber; modern mass production means any quality ammunition acts perfectly almost always. The only reason other calibers exist is to keep the price of 9 mm ammo lower, otherwise the makers would set up a conglomerate monopoly. I’m an ORC (Old Revolver Cop) myself, but I didn’t like the long, heavy trigger pull on the one Kahr I ever fired. I think the lightness of the gun and thinness of the grip interfered with my usual shooting perfection. If I ever get a single-stack baby 9 it will be either a Glock 43 or a Shield (now that they make them without that superfluous thumb safety). I lean toward the Shield since it comes with a 7-round and an 8-round magazine in the box. I hope your discovery that you already had the perfect baby 9 didn’t keep you from buying another gun. That wouldn’t be right. The funding will be diverted to another firearms project! I’ve been on the fence about the Kahr; any Kahr a matter of fact. How well is the sight on these guns?